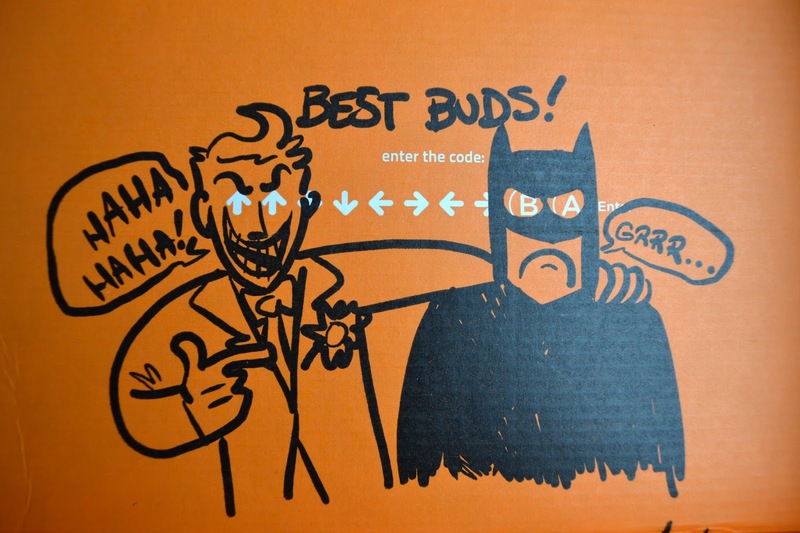 I've wanted a Loot Crate for a while after seeing my boo Ashley's posts about them and a couple of weeks ago in a tired haze of wanting to spend some money, I ordered one. It dropped through my letter box a couple of days after the Americans got theirs and I ripped it open after excitedly instagraming that it had arrived. July's theme was Villains and I wasn't sure really what to expect! My idea of a villain is Gary *growls* but I was pleasantly surprised. 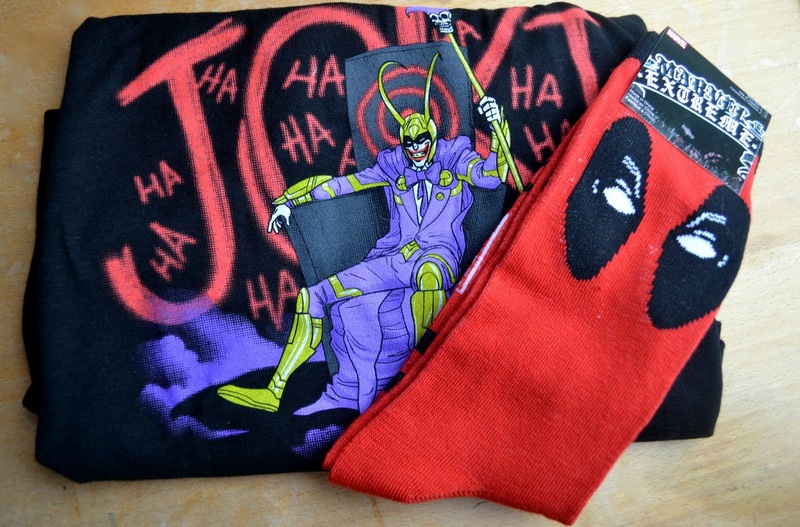 The first thing I pulled out was the Joker/Loki/Joki shirt which made me laugh, it's one hell of a combination. I think those two would make quite a team. I wore it to the gym yesterday and it was comfortable to wear even when doing the most uncomfortable of exercises! The other clothing item was these fancy Deadpool socks, I don't know much about Marvel but I've seen enough Deadpool cosplays to do my research and these are great, if a bit tight, (I'm wearing them right now) and better than boring black socks! I'm not a big poster person so I'm going to pass these on but Harley Quinn is one of my faves. She's joined by the Joker and I'm sure my friend is going to appreciate having that staring at her from the wall. 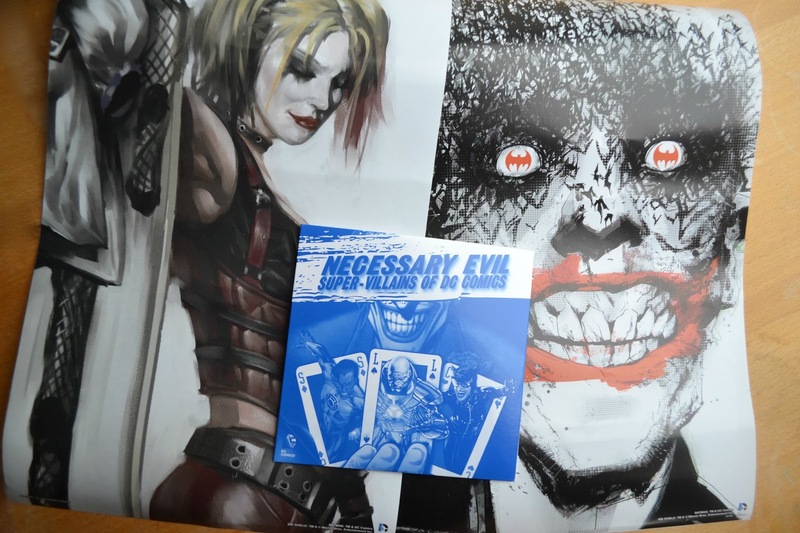 Another DC item is the Necessary Evil DVD documentary looking into The Joker, Lex Luther, Catwoman, Doomsday and Bane. I've not had a chance to watch this yet but I love documentaries so I'm pretty excited. 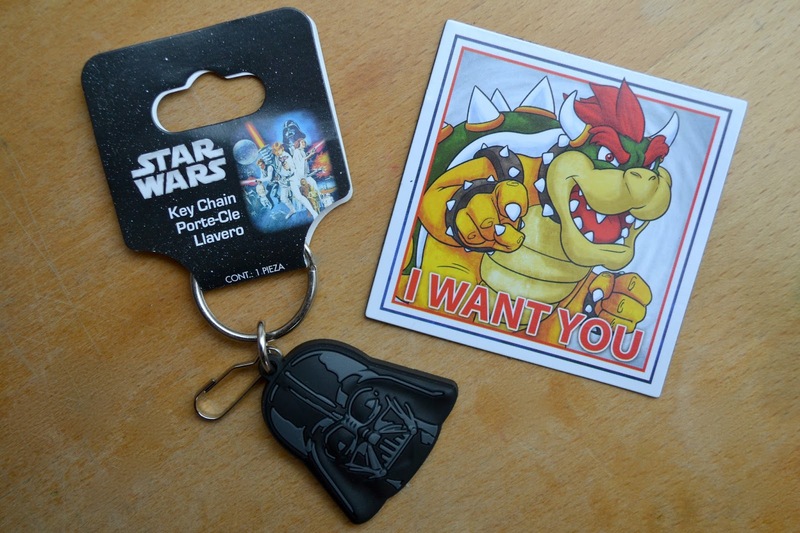 The smaller more 'nik nak' items were this cute little Darth Vader key chain who is currently hanging on my keys with a small sombrero and a Bowser/ Uncle Sam mash-up magnet. I don't have a magnetic fridge but I'm determined to find something to stick this too! 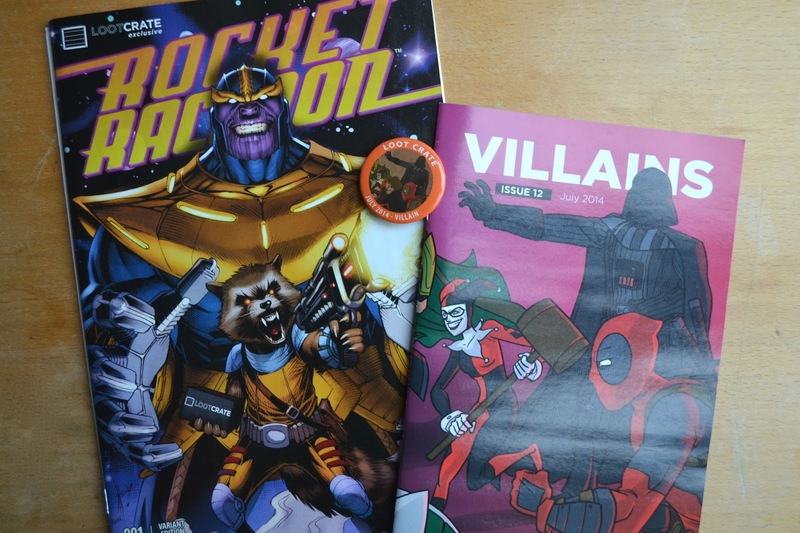 My favourite thing this month and probably the reason I snapped and subscribed was the Loot Crate variant edition #1 of Rocket Racoon. I'm a big comic book nerd but I tend to lean towards DC and Image so this is my first ever Marvel comic book bar what I've picked up on Free Comic Book Day. I saw Guardians of the Galaxy on Monday and my mind has been changed (amazing movie, go see it). I want all the Marvel and I think I'm going to add Rocket Racoon to my pull list, I've read this and since #2 is out today- a trip to my LCS might be in order! And it came with the usual pin (so cute) and Loot Crate magazine that has interviews and puzzles and all sorts that are fun to flick through. Overall I really liked this box and I'm excited for next month with the Heroes theme! Which comes with an exclusive Funko figure! These boxes cost £16.18 for all those in the UK and I was charged a £1.25 'non-sterling fee' by my bank but I'd say it's 100% worth the money. 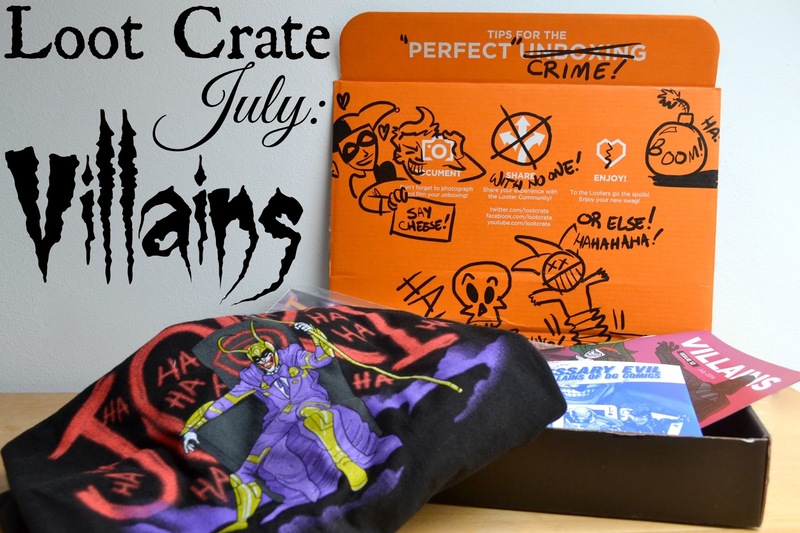 What do you think of Loot Crate? Do you subscribe?